Adopt a puppy: fill out your application now! When you have made the important decision to become a puppy owner you will first need to fill out the puppy application . You may wonder, “When should I fill out an application?” We would strongly urge you to fill out an application as soon as you can! 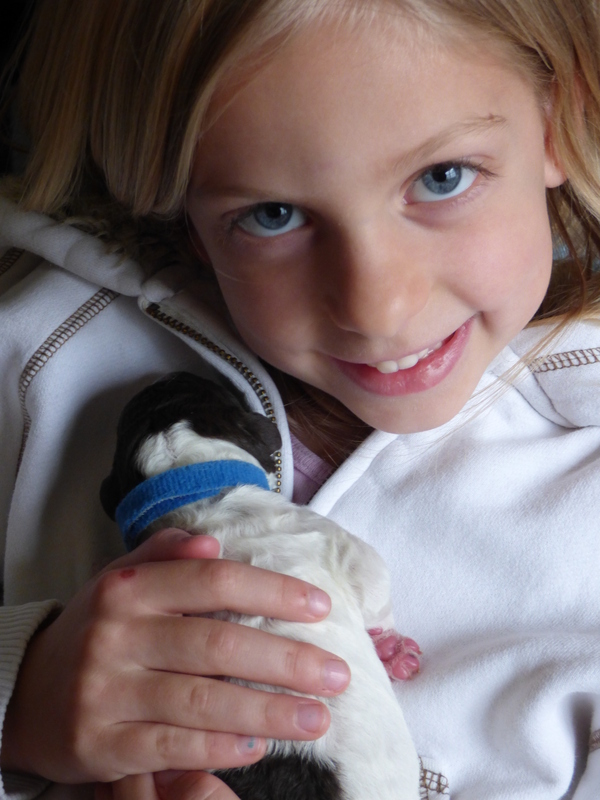 Our reservation lists are generally 75% full by the time puppies are born! Many reservations are made 4 to 6 months before the puppy can go home. In other words, do not delay! If you think you may want a puppy in 6 months, start now by getting on our reservation lists. 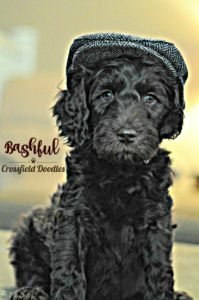 Once we receive your online application we make every effort to contact with you within 24 hours to further discuss your selection and answer the questions you may have about our doodles and their puppies. After that conversation and once you are ready to move forward, we ask that you send in two things: 1) the signed contract – which we will email to you, and 2) your non-refundable $300 deposit – which we will invoice you for – to officially begin the process of matching you to your puppy. We encourage clients to return these items to us in a timely fashion as reservations are held by a received deposit. When we receive your signed contract and your deposit your name will be placed on the reservation list for the litter of your choice. We will invoice you for the remaining balance of your puppy choice at the time of reservation. Half of the remaining balance will be due when your puppy is 4 weeks of age and the remaining balance is due when your puppy is 6 weeks of age. We know how excited you will be to see your puppy growing! Puppy pictures are taken within the first few days, and then every two weeks and posted on our Facebook page. Of course, we’ll probably post more than that!! Puppies are so cute!! 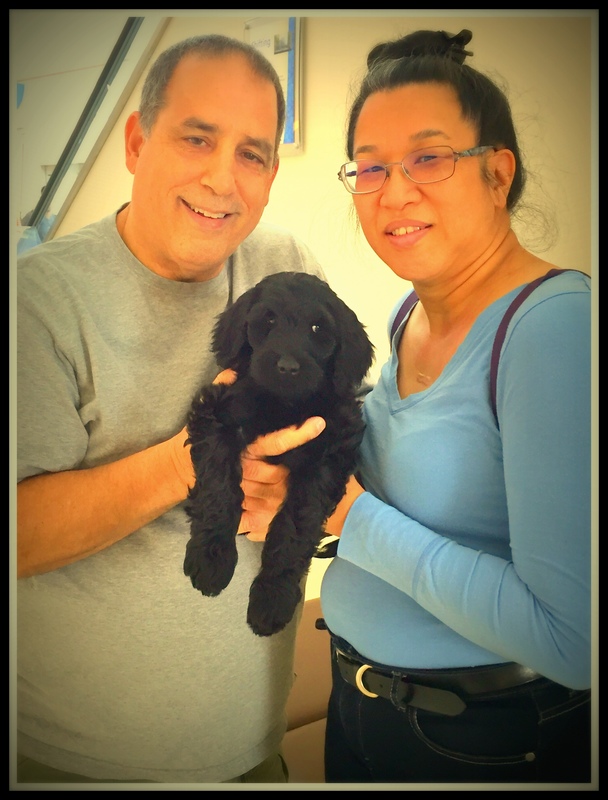 We’ll be working to socialize your puppy with the many children in our families; but, we know you look forward to visiting this soon-to-be member of your family! As the puppies grow, we do our best to keep your puppy well-socialized. Families who have paid their remaining balance will be invited to visit when puppies are 6 weeks of age. This is when puppy selection is made. Each litter has a list of families in order of reservation or “Pick”. We begin picks on a single day (usually a Friday or Saturday). 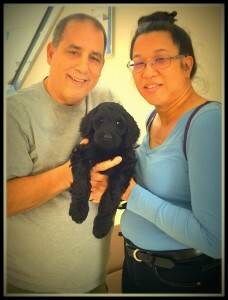 Beginning with Pick #1, each family is given a space of time to visit with us and the litter, and make their selection. Pick 1 chooses first, then Pick 2 arrives and is offered the remaining puppies, and so on. Don’t worry, once you place a reservation with us, you will receive emails with dates and the plan for picks well-in-advance. Puppies will be ready to go home at 8 weeks of age. We will schedule your litter for a going home day after the 8 weeks has elapsed (usually a Friday, Saturday or Sunday) and puppies must be picked-up on their going-home date In the event that you have extenuating circumstances, we may consider boarding your puppy at a cost of $35-a-day for a maximum of 7 days. All arrangements must be made well in advance of home-going day. We prefer to deliver your pup py if you cannot make arrangements to do the pick-up in person. 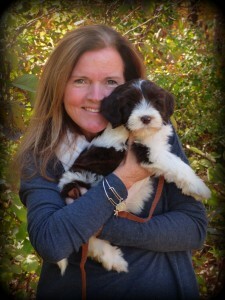 If you are less than 100 miles from us, we may be able to deliver your puppy for $1/mile for the round-trip mileage. The cost of flight delivery does vary, but in many cases, we are able to hand deliver your puppy (riding in-cabin with us) for about the same price as shipping him in cargo. We prefer this option as it gives your puppy a much less traumatic arrival and we love to be able to hand him to you in-person! If this option does prove to be cost prohibitive, we may agree to ship your puppy. Shipping prices may vary, but you can plan to pay at least $500 for this option, in addition to the price of your puppy. Shipping costs may include: additional veterinary visit for a travel certificate, boarding and care through shipping date, an airline approved travel crate with bowls, and delivery charge for airport transportation. Puppies ship after they are 8 weeks of age. Shipped and delivered puppies arrive with their “Going Home Packet” Please indicate if you need to discuss delivery or shipping options with us when you fill out our online application. It is our pleasure to walk with you over the course of the next few months as you await your Crossfield Doodle! We send you updates when breedings occur, when pregnancies are confirmed, and when moms are about to give birth! Each puppy born is a beautiful surprise of color and personality. We want to share those moments with you as much as you want to join in them. We email checklists and timelines to clients to help with frequently asked questions, purchases, toys, training…you name it, and one of our clients has probably needed help with it, so we’ve tried to compile these things to help make this process as easy as possible for all of us.